No matter who you are or your age, this is a casual morning to help you with either reading, writing or conversation using the English language. 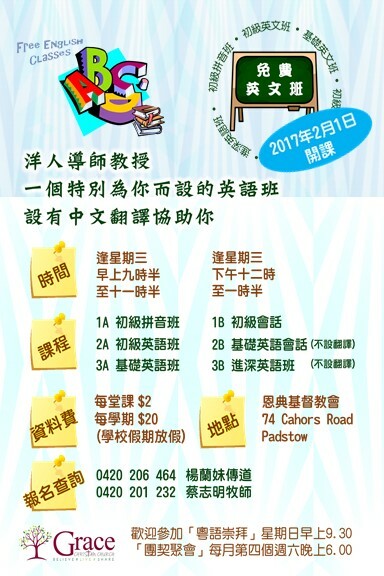 It is intended to help people who have English as a second language (ESOL), practice their skills with “Aussie” English. For those preparing for the Australian Citizenship test, we can read through the Government booklet that you must know. Copyright © 2019 Grace Christian Church.